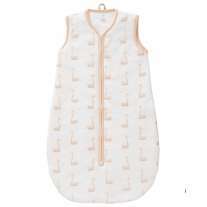 This soft pink organic padded blanket for babies and children is soft, comfy and cosy for bedtime and sofa snuggles. 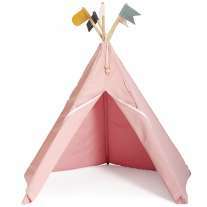 This pale pink blanket has a 1.3 tog rating for warmth and a natural trim. 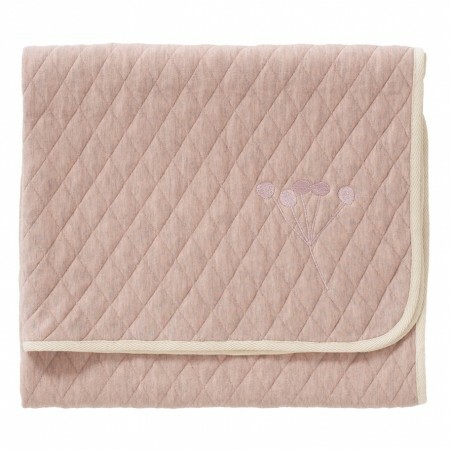 Ethically made with GOTS organic cotton under fair trade conditions, this blanket is kind on sensitive, baby-soft skin and eco-friendly too. 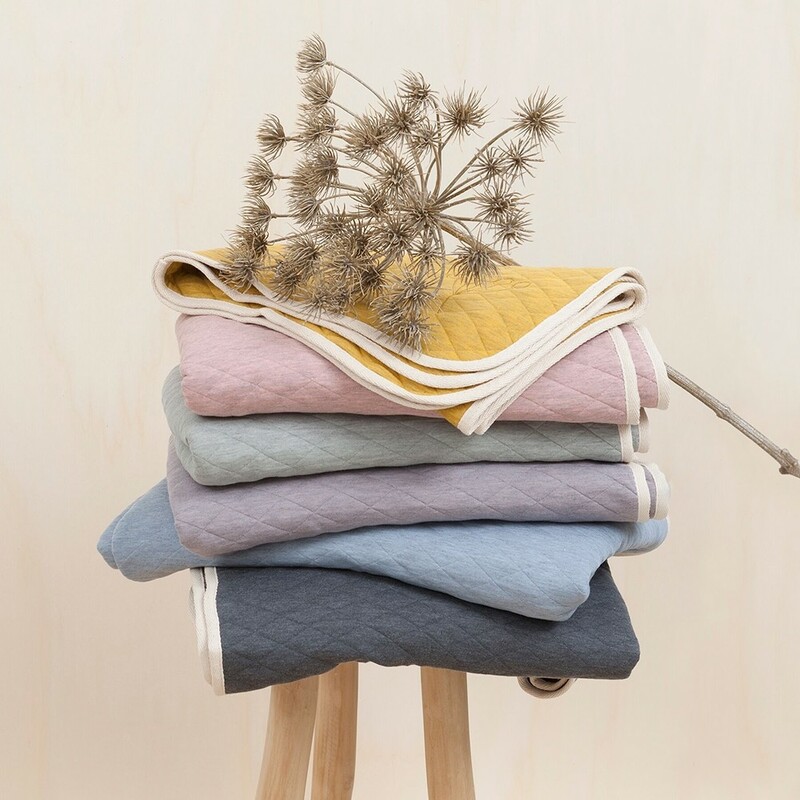 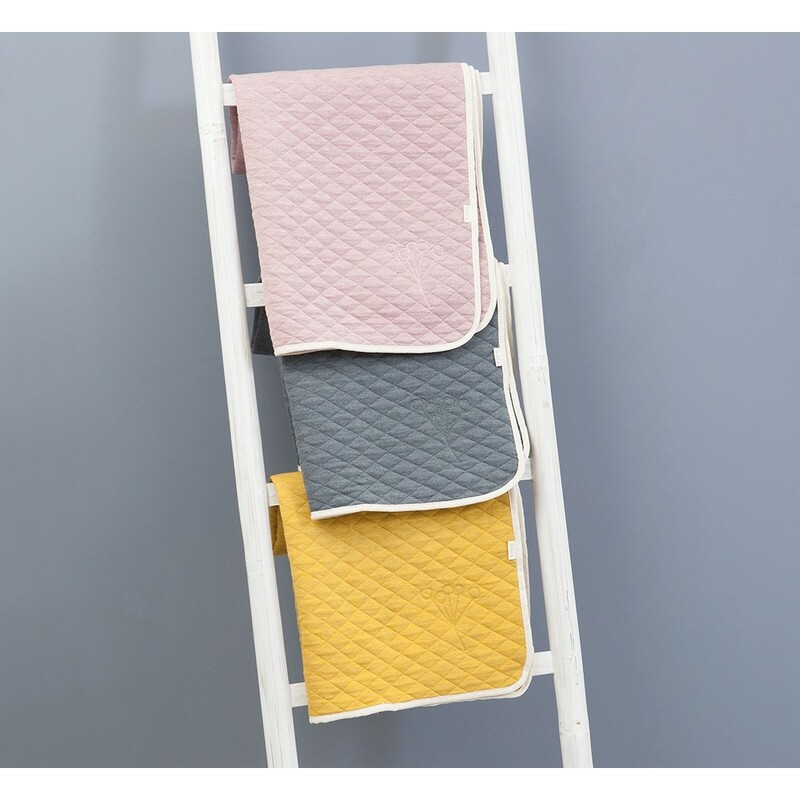 In a muted shade, this organic blanket will look stylish in your sitting room as well as your child's room. 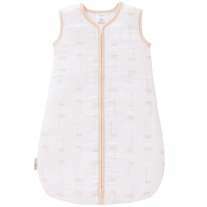 Throw on a bed, use as a play mat, keep warm in the car or use for baby massage.